Our experience with Krista was top-notch! I would highly recommend. Service is excellent and I would not go anywhere else. My service advisor is top notch! I am writing this review to indicate how pleased I was with the exceptional service I received from Goldens Bridge dealership, specifically Agron, my sales advisor. Unfortunately I did not end up buying a car from them but the service and follow up from Agron to continue to provide me with various options without ever pressurizing me to purchase is outstanding. 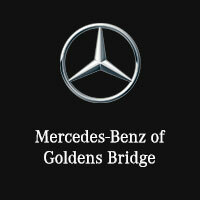 When I am looking for my next car, Goldens Bridge will be my first stop, if Agron is still working there  . Thanks Agron. Wonderful experience. I would choose Victor Varga to purchase from,I did! We drove quite a distance to get the car we were looking for and Krista Petrucelli (our salesgirl) made sure that it happened!She is very welcoming, sweet, friendly and went above and beyond in setting us up with everything we needed.If you plan to do your car shopping here, I highly recommend you ask for her!Dealership & Service - A+++++P.S - We were glad to lock in an amazing deal with Rey Baker, a very professional general sales manager!